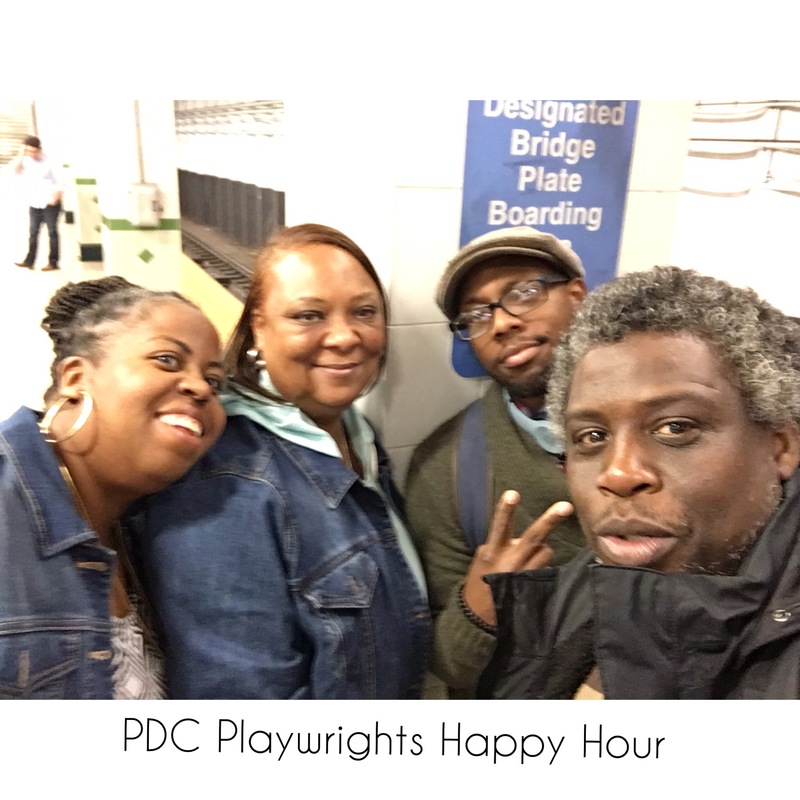 Last night was a great beginning for us a writers as we went to the PDC Playwrights Happy Hour at FergiesPub. I have been here many times but this time was special as it was a first time presenting new works by myself Antoine Stroman,Henderson Sealy,Demetrius Ford and Ra Wilson. I must admit my nerves were getting the best of me before this day as we began this story sometime last year. Being for brothers we were doing something that we were all probably not us to and that’s writing with others and bringing a cohesiveness to a story that as Antoine said has not been explored in mainstream theater before. We sat in a group with others reading a story of ethnic hardship and utilizing members in the group to read dialogue that spoke diversity within a group but was also as real as it can get. Handing out parts to each person was easy but I felt I needed to prepare the readers by letting them know the dialogue would contain explicits and vulgarities. In the end the group loved the way the story was coming together and gave us pointers on how to further explore the depths of the characters. Well fellas we have a story to finish and our beginning is one to grow on.